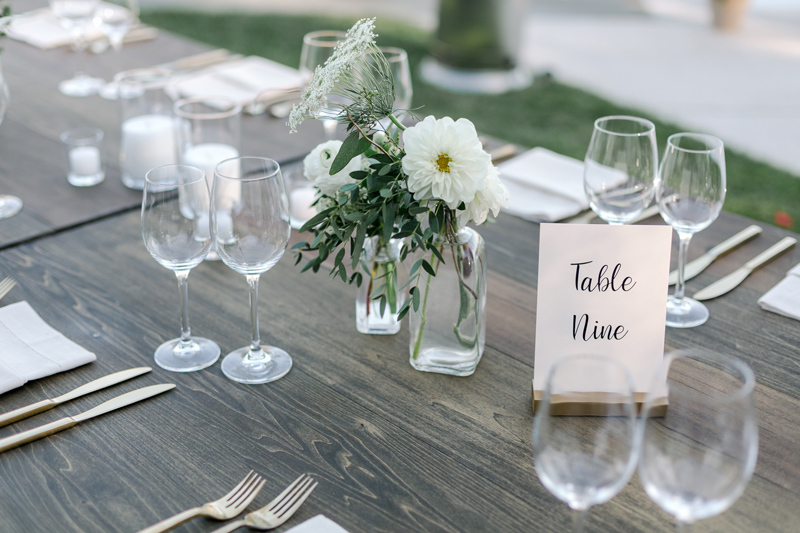 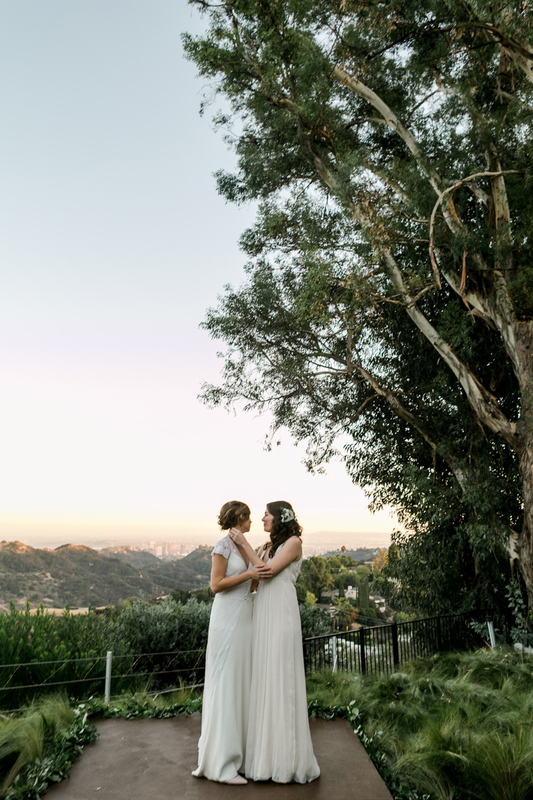 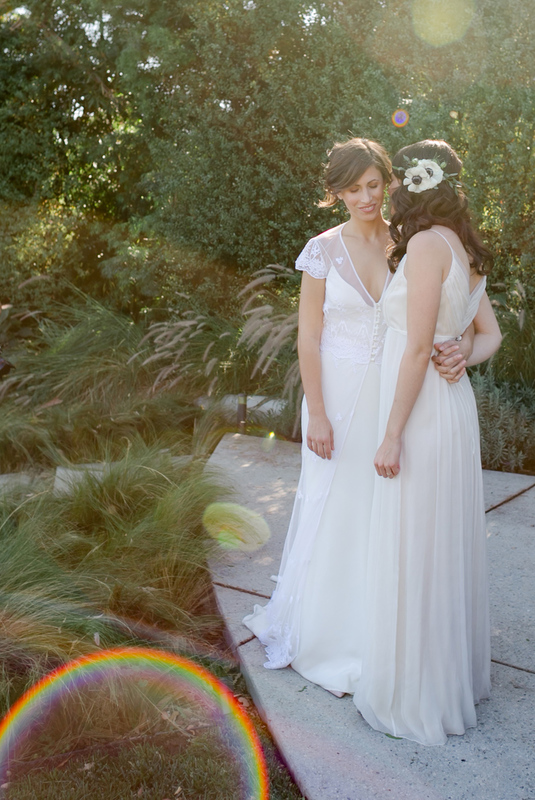 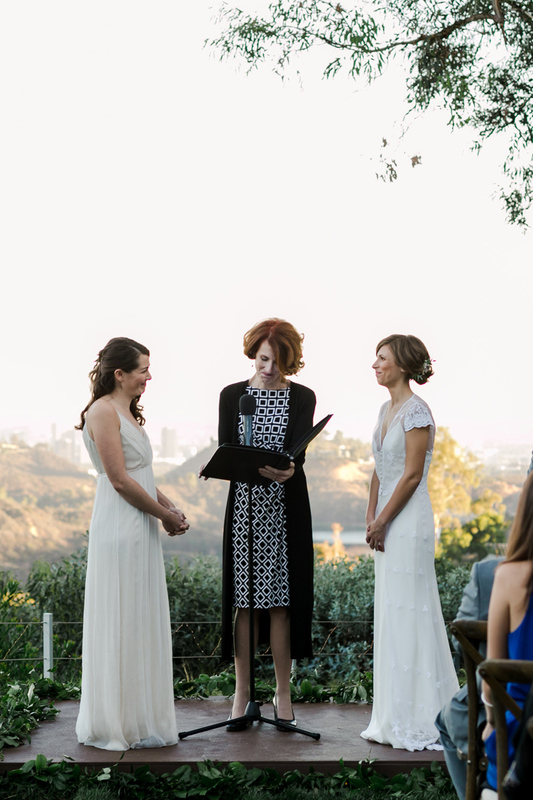 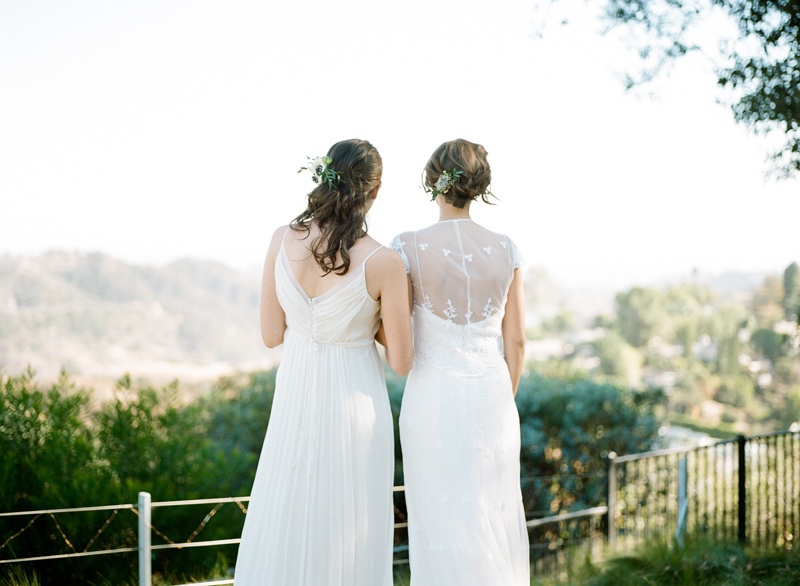 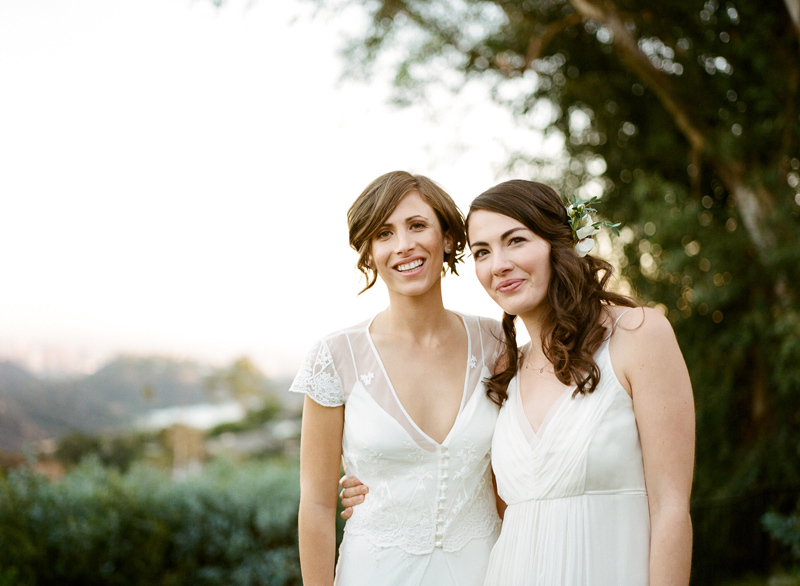 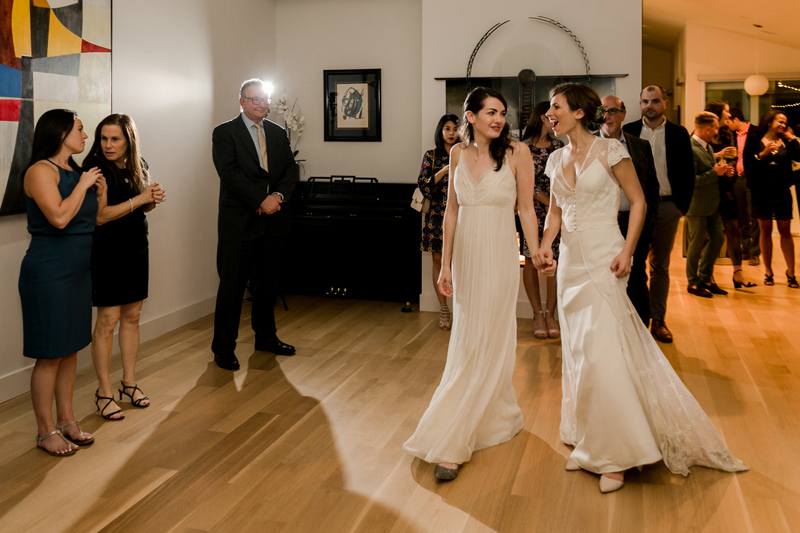 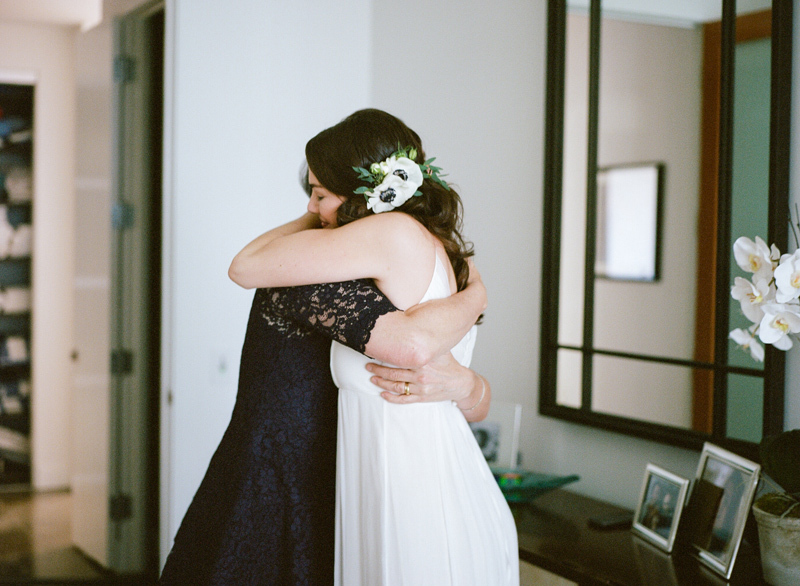 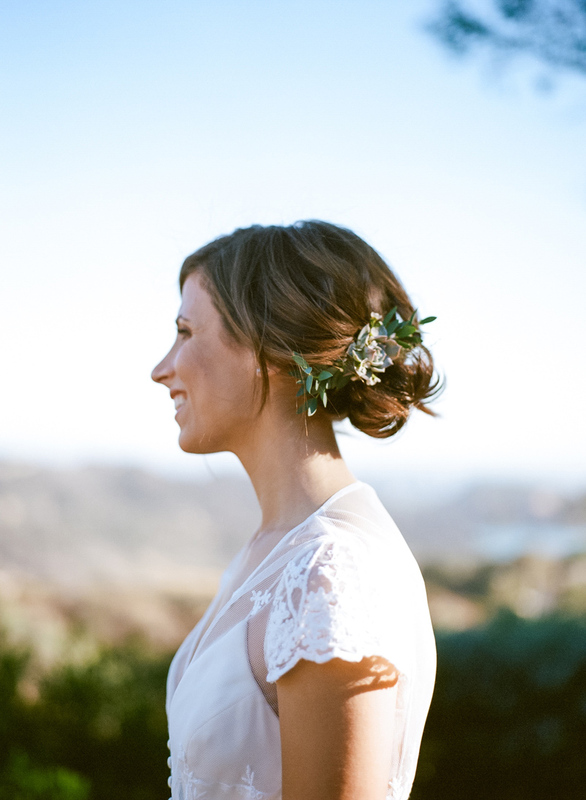 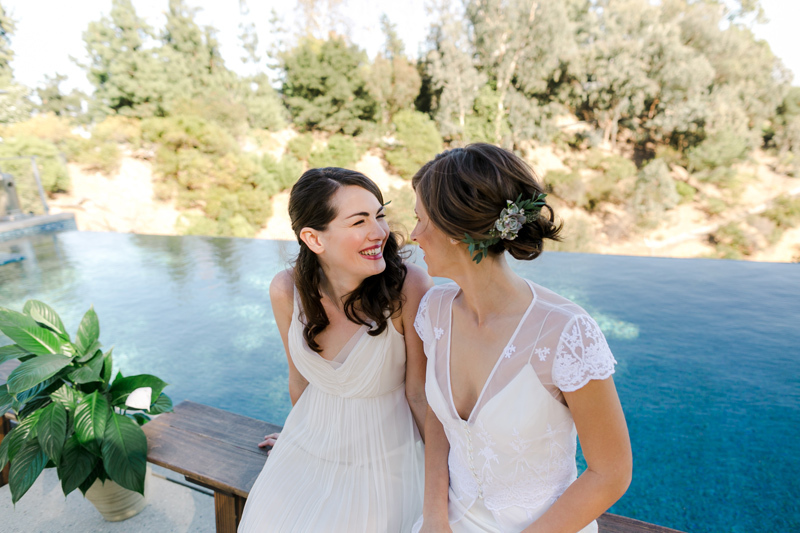 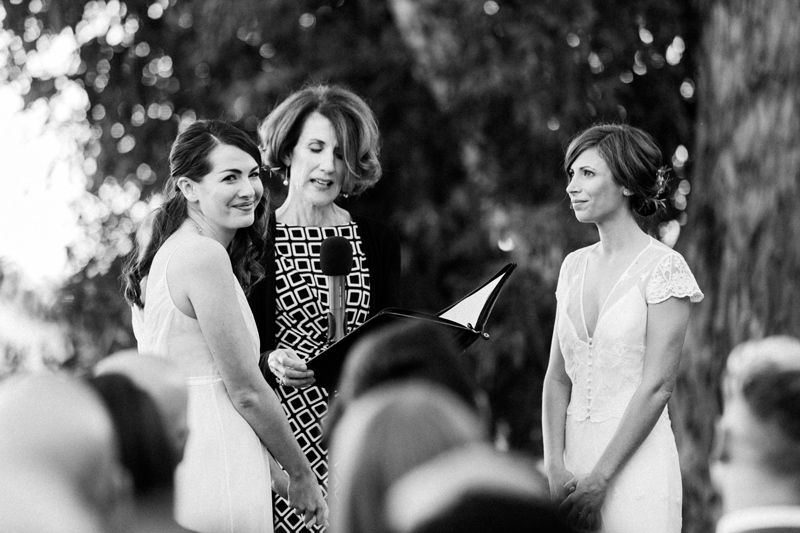 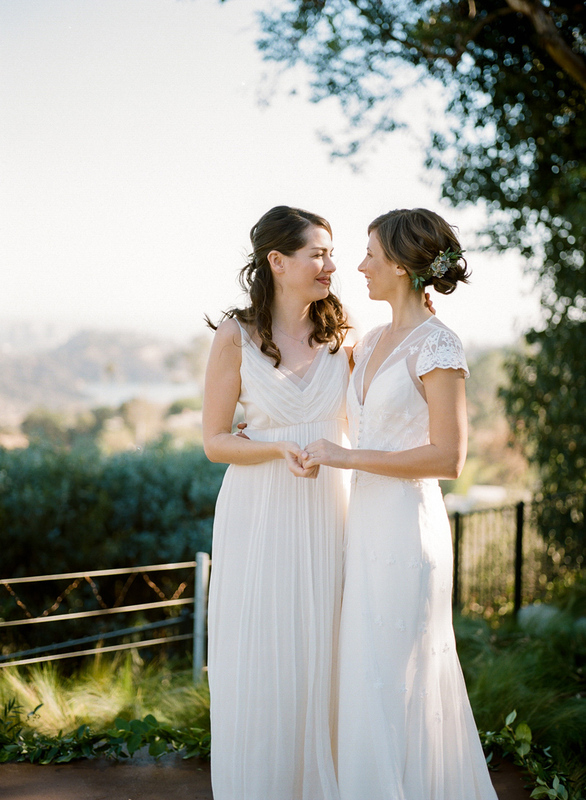 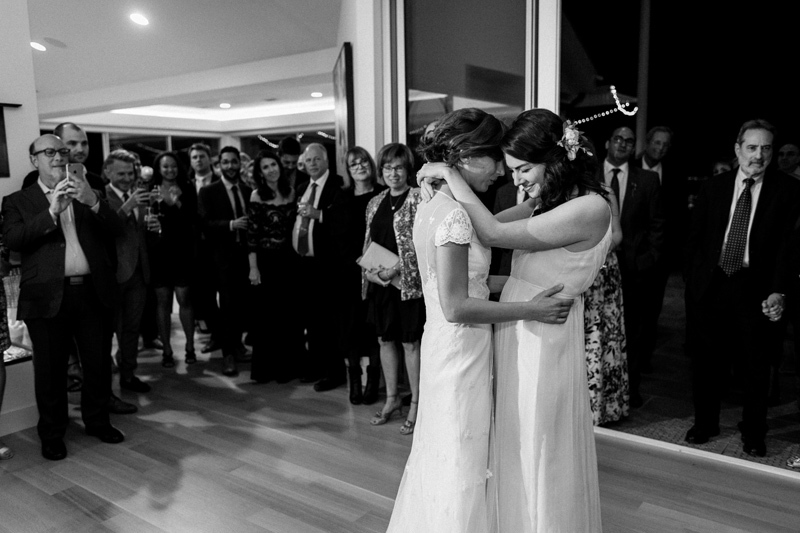 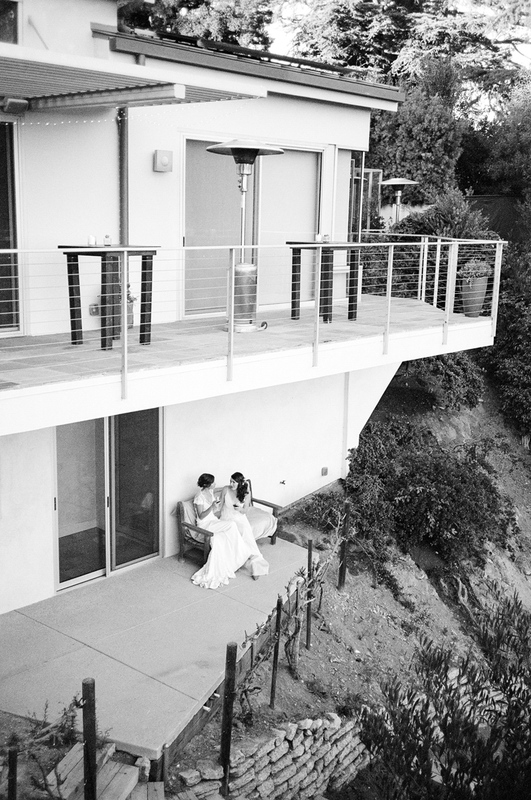 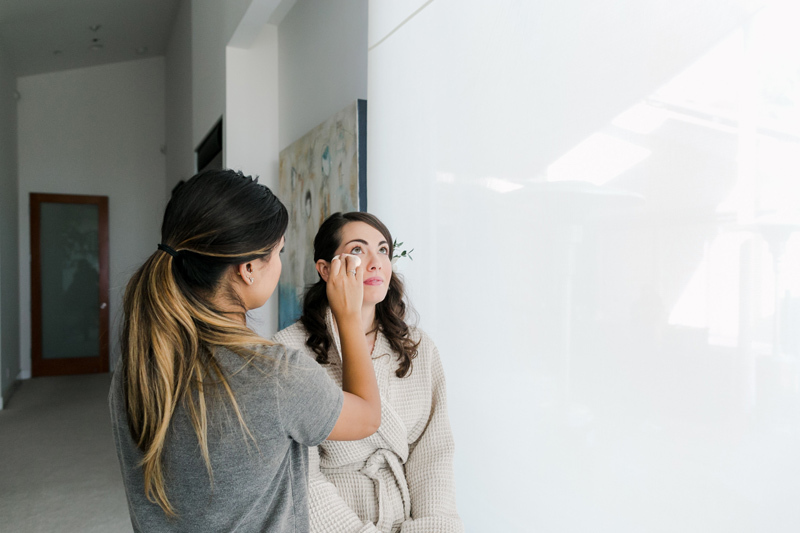 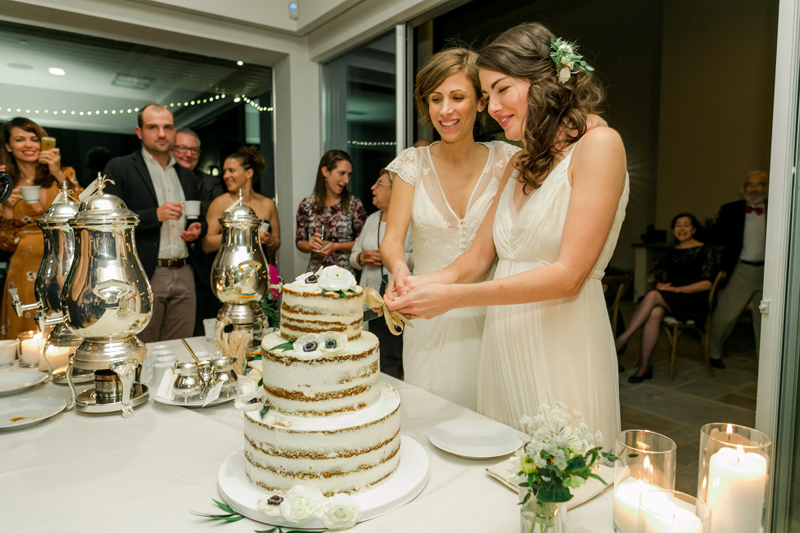 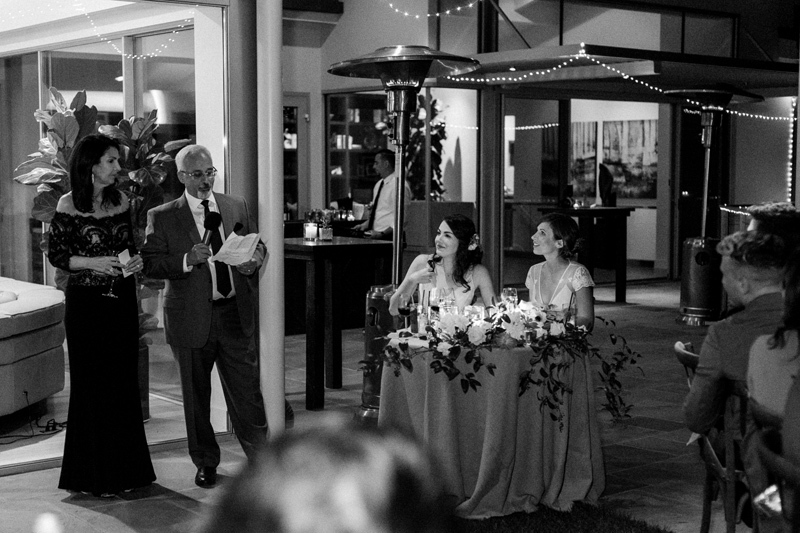 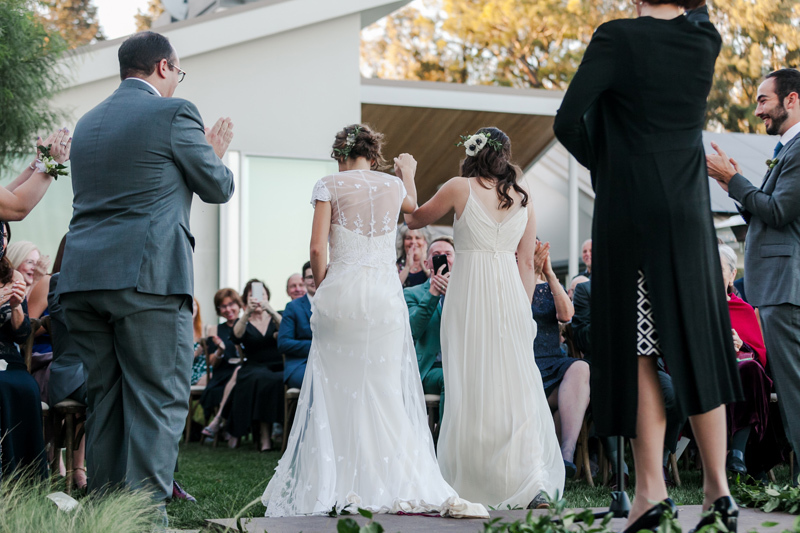 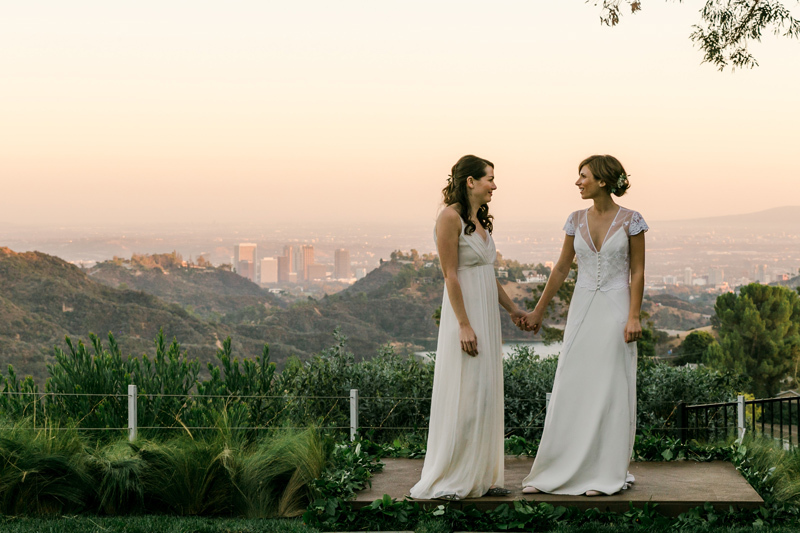 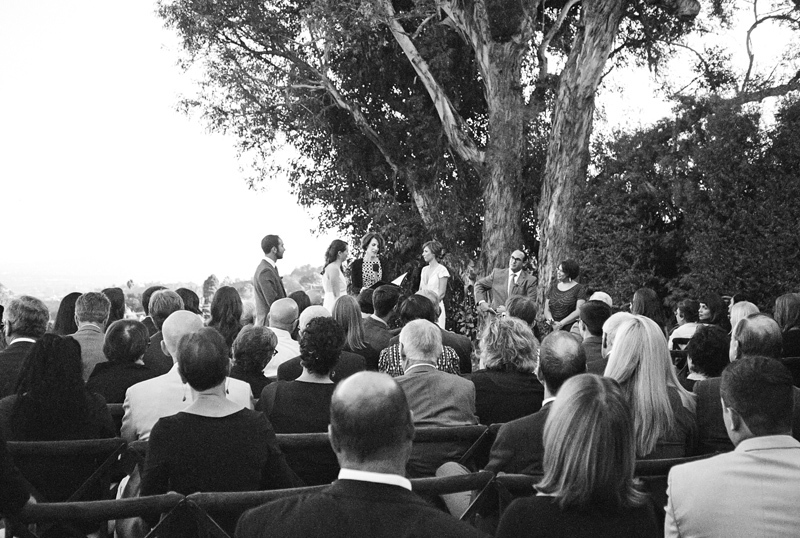 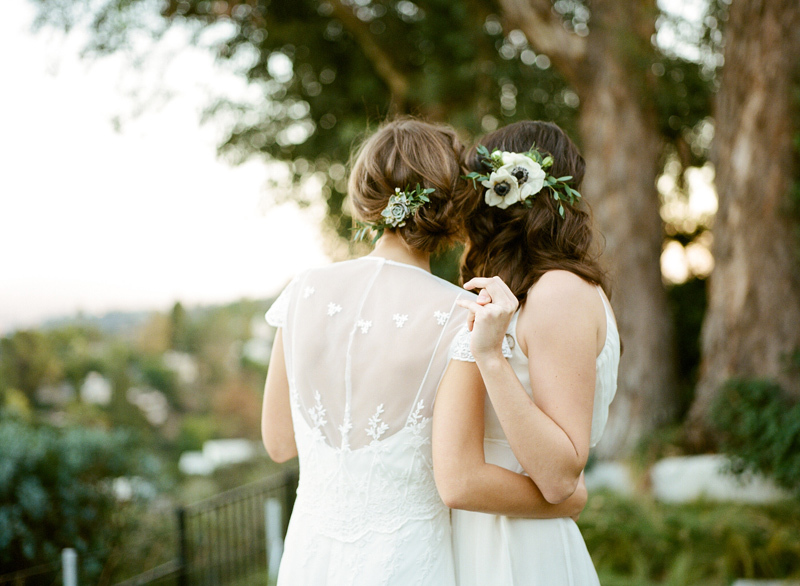 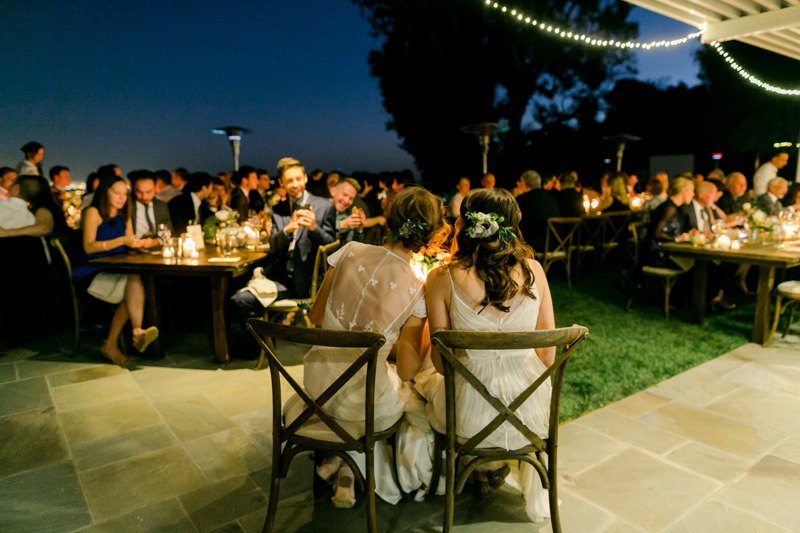 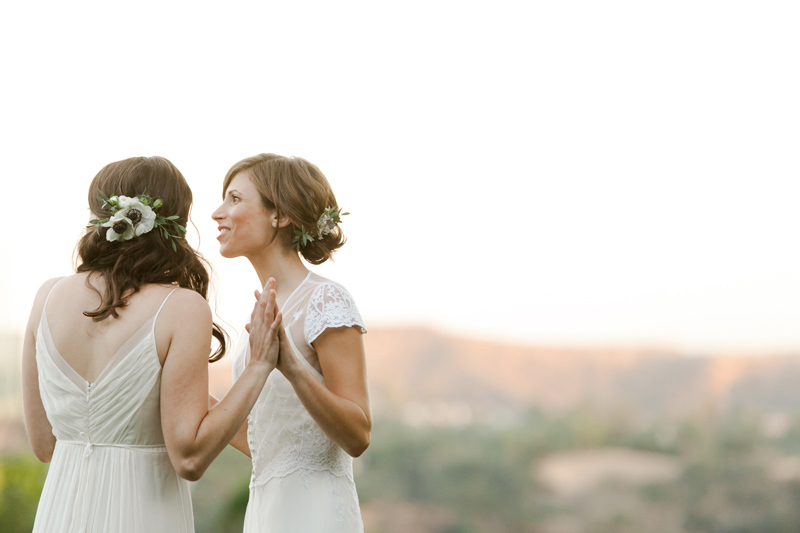 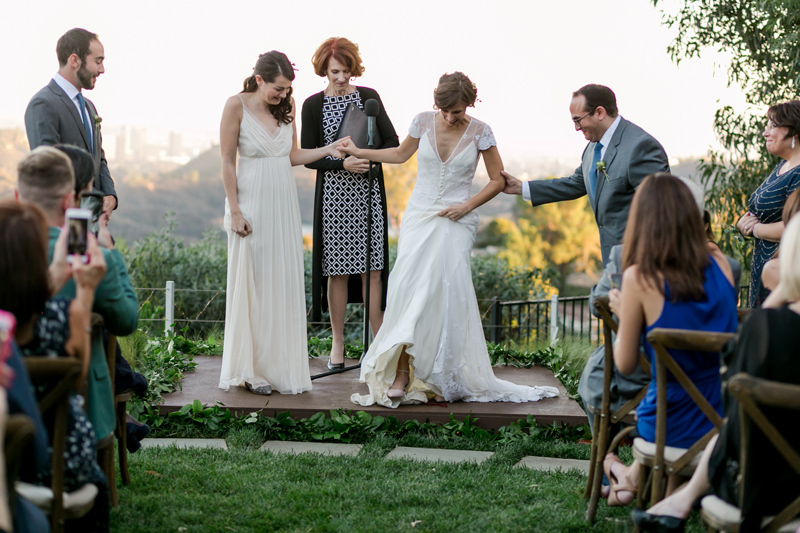 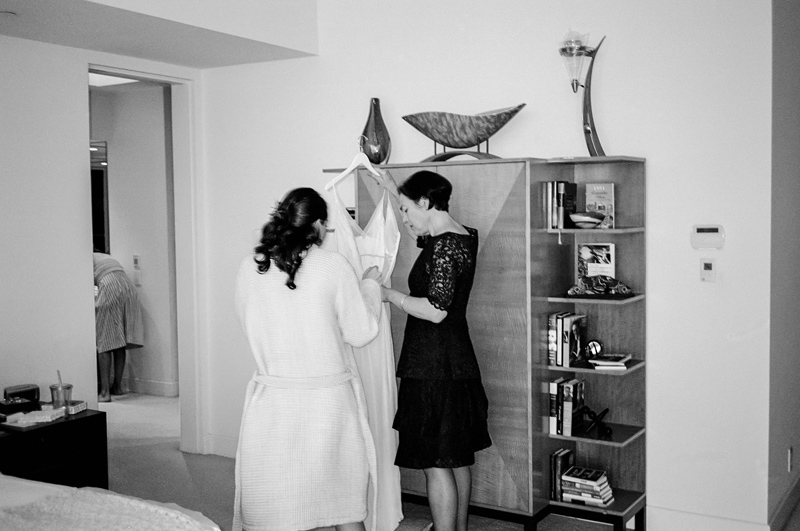 When I first met these two brides, I was immediately smitten with how adorable they were together as well as all the plans they described for an intimate backyard wedding at one of their parents’ homes with a sunset ceremony overlooking gorgeous views of the Hollywood Hills, surrounded by their closest friends and family. 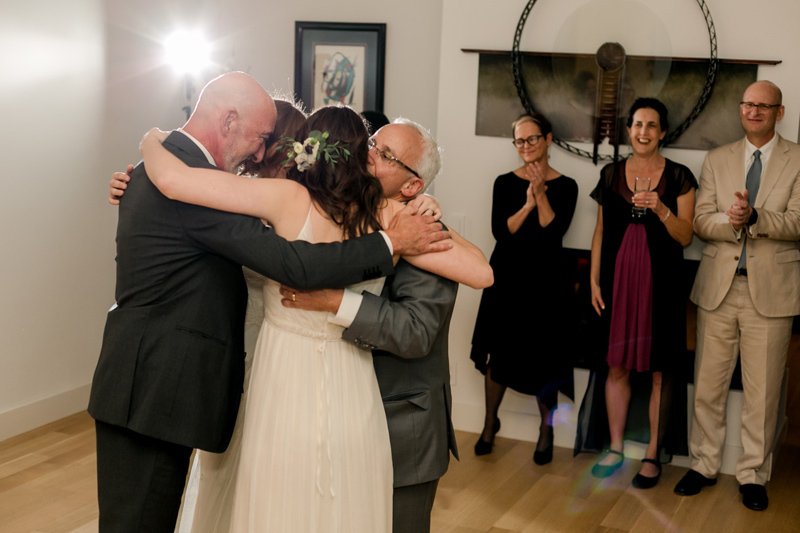 The day arrived and it was even more lovely and sentimental and perfect than any of us had envisioned. 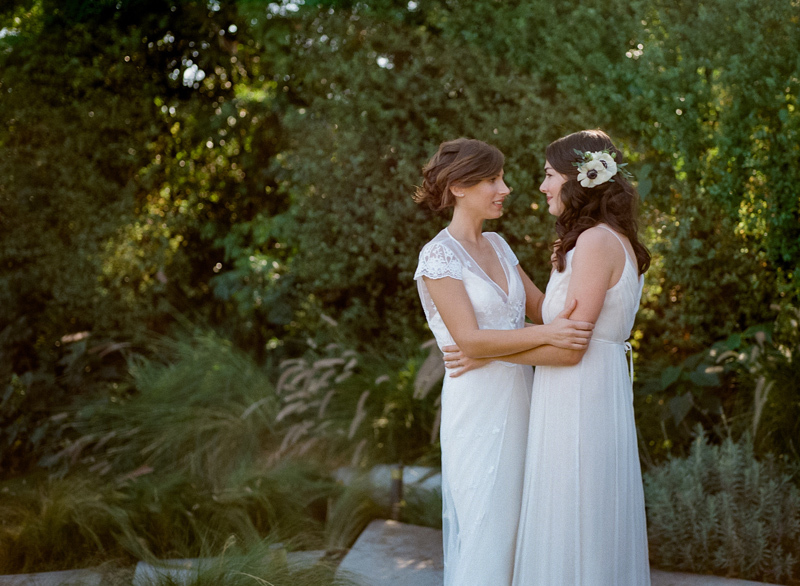 At their engagement session and their wedding, I got so many feels from how passionately and joyfully the brides look at each other and were just brimming with giddiness all day long. 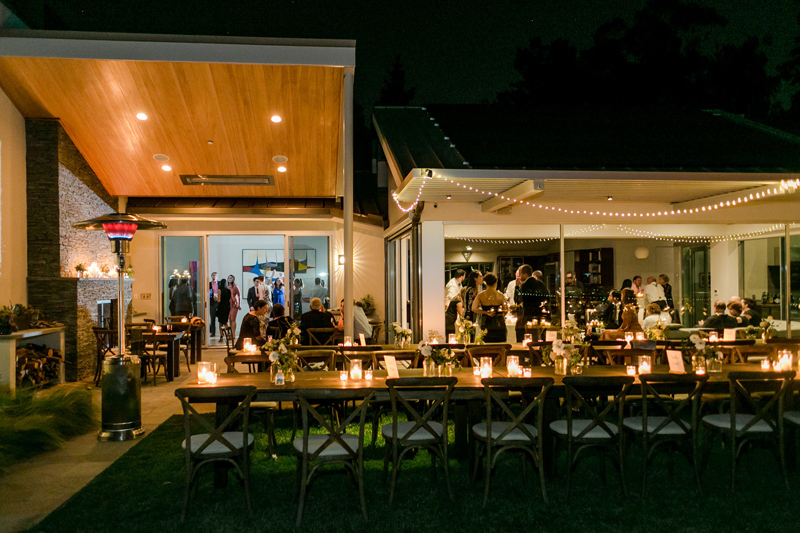 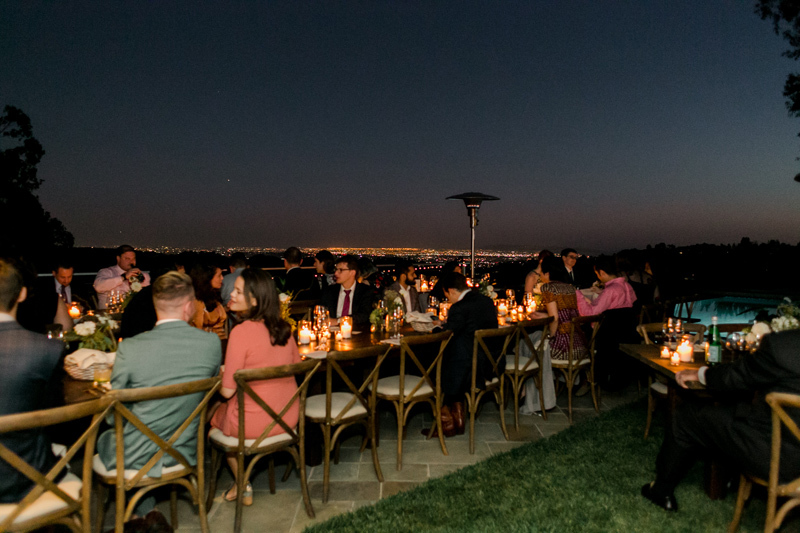 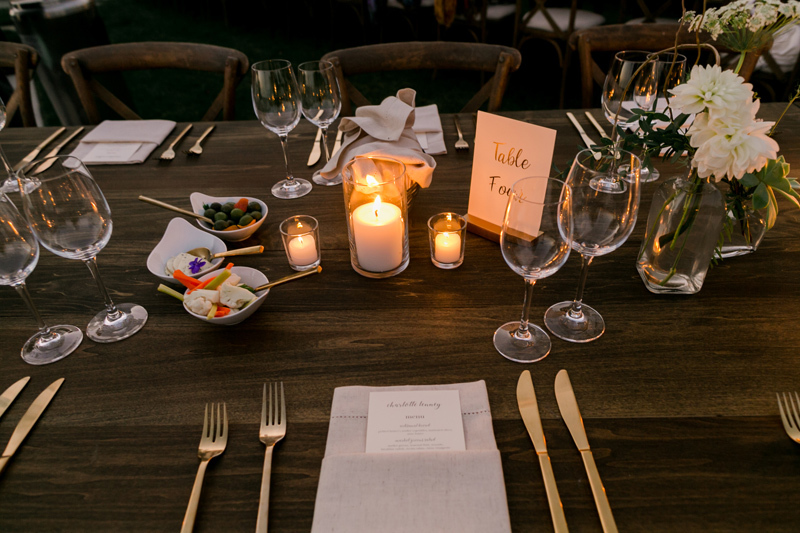 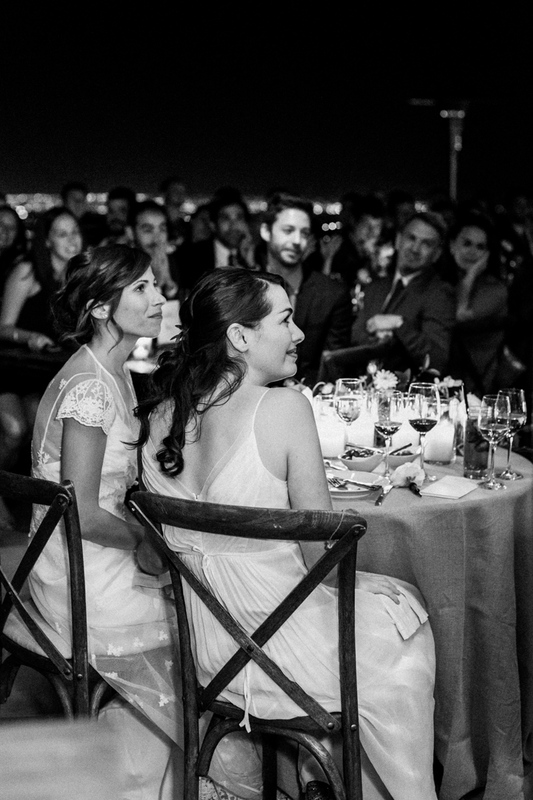 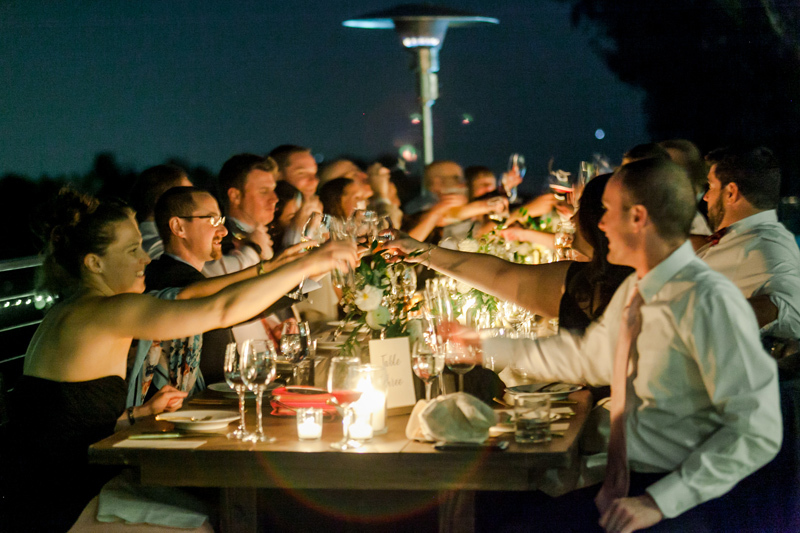 The warmth of their guests was matched by the warm glow of the lights for the outdoor reception and the sparkling lights of the city below. 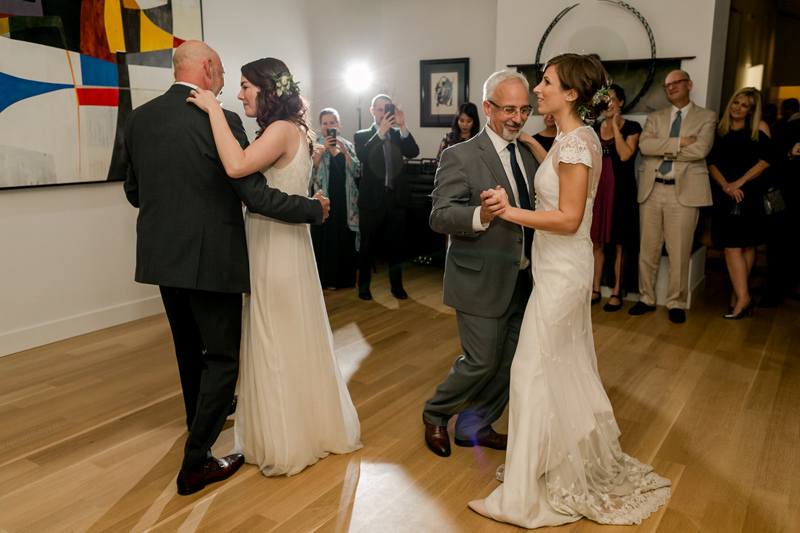 Both of their families nailed all of the speeches and had me and everyone laughing and crying, and this was one of the sweetest father daughter dances I’ve ever seen when the brides switched dads halfway through the song. 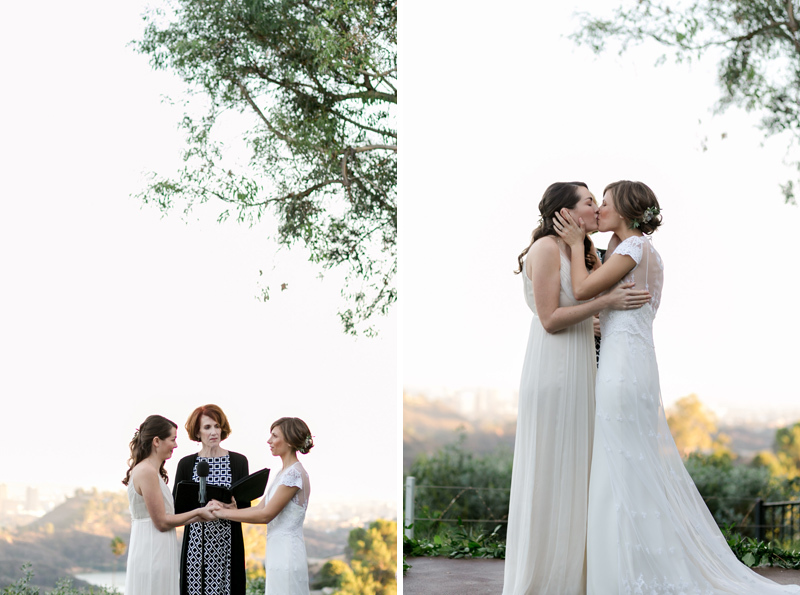 It was such a beautiful and meaningful day from beginning to end and I’m so happy for the couple! 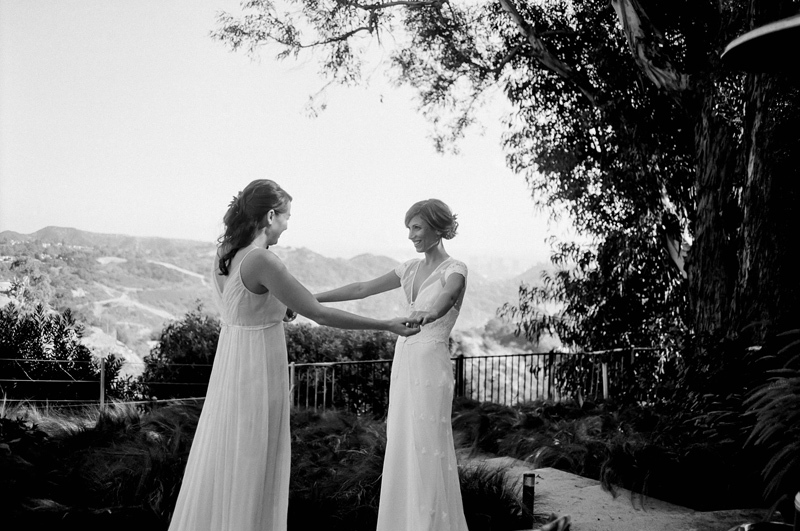 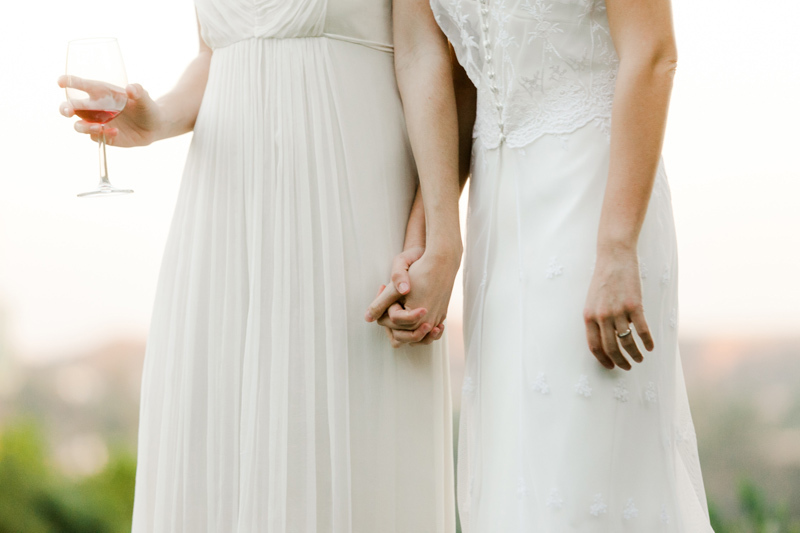 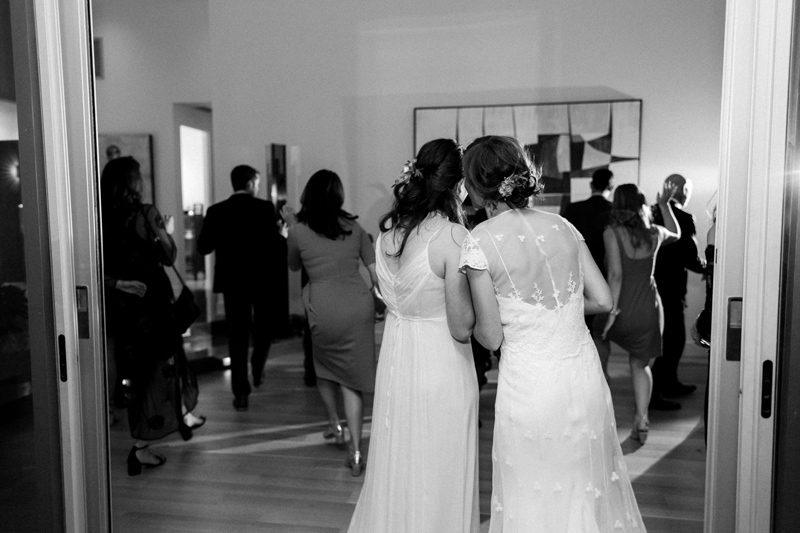 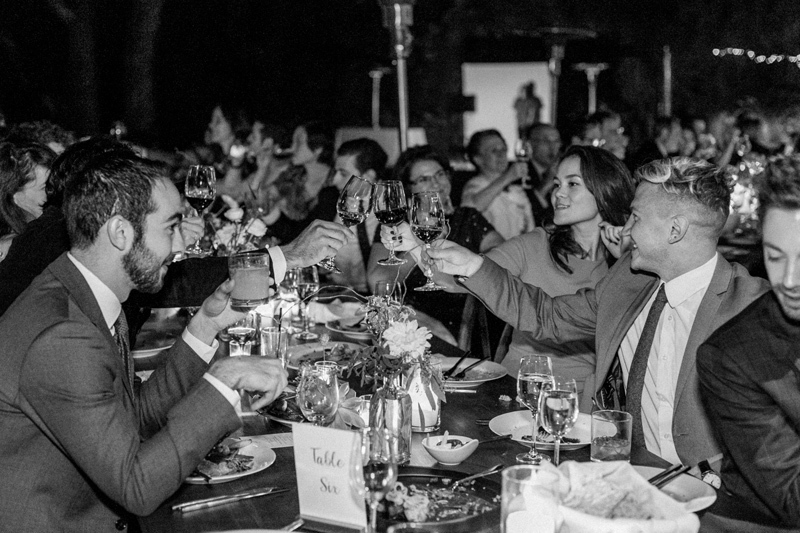 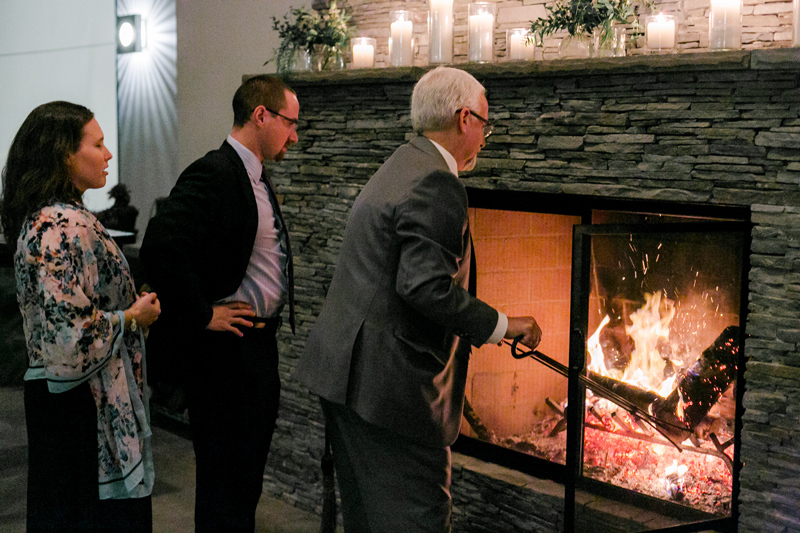 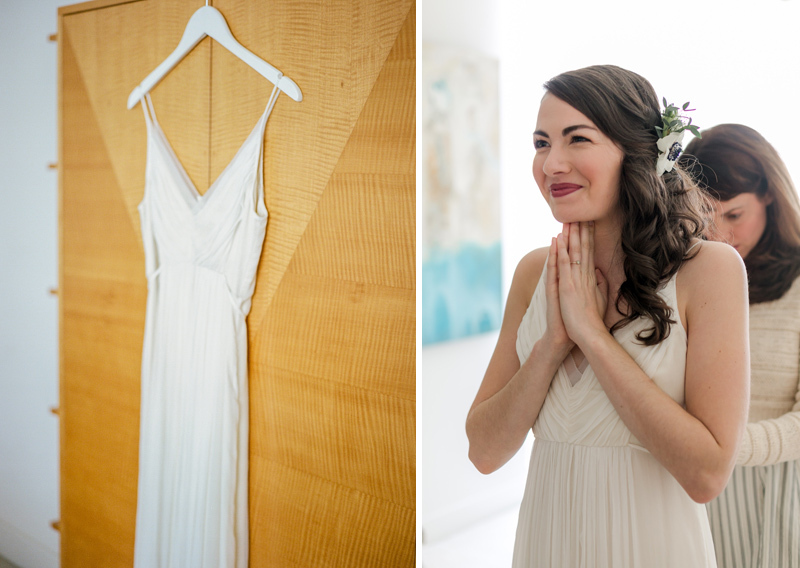 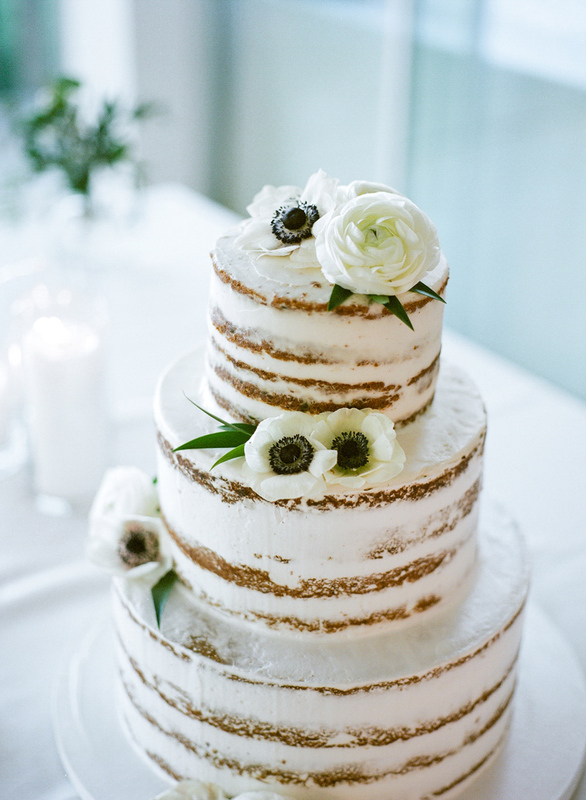 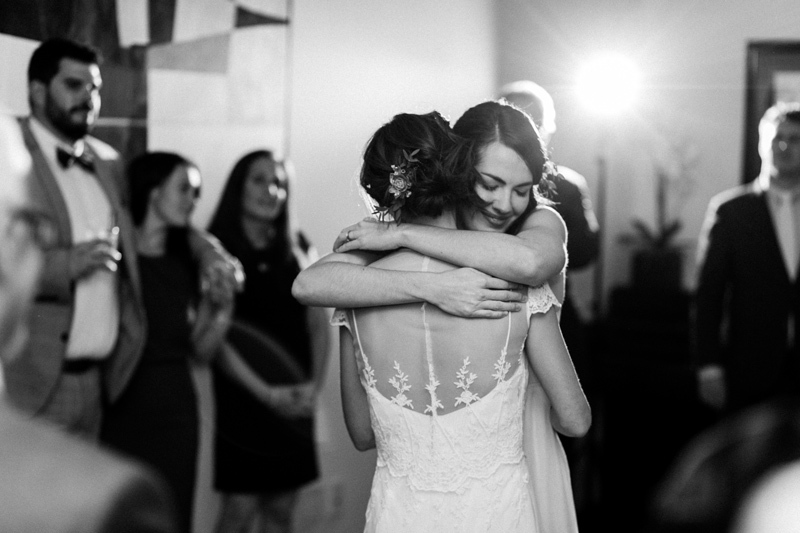 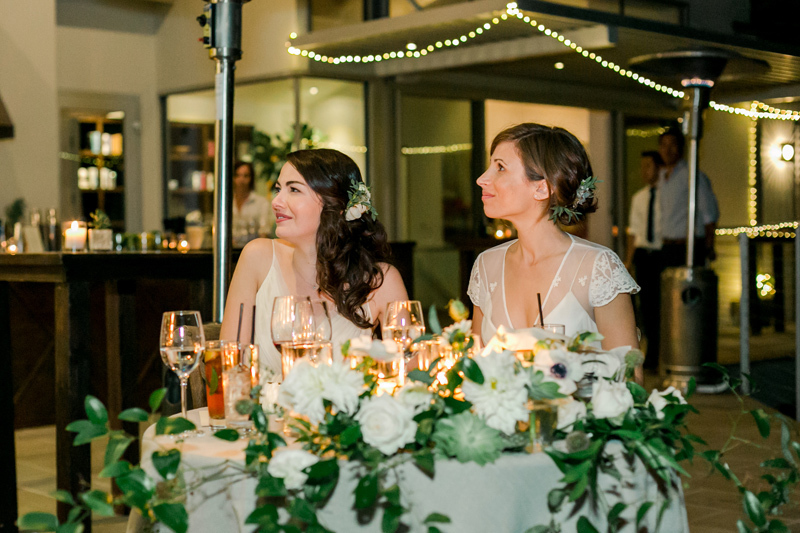 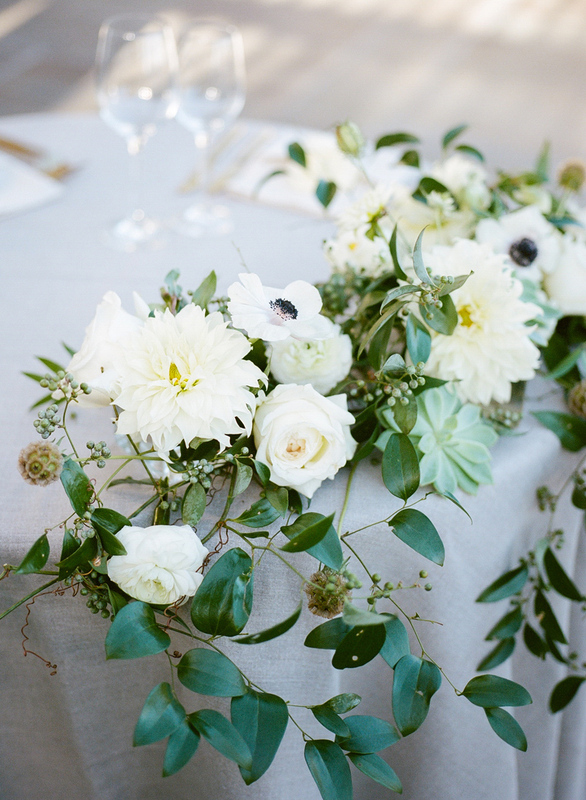 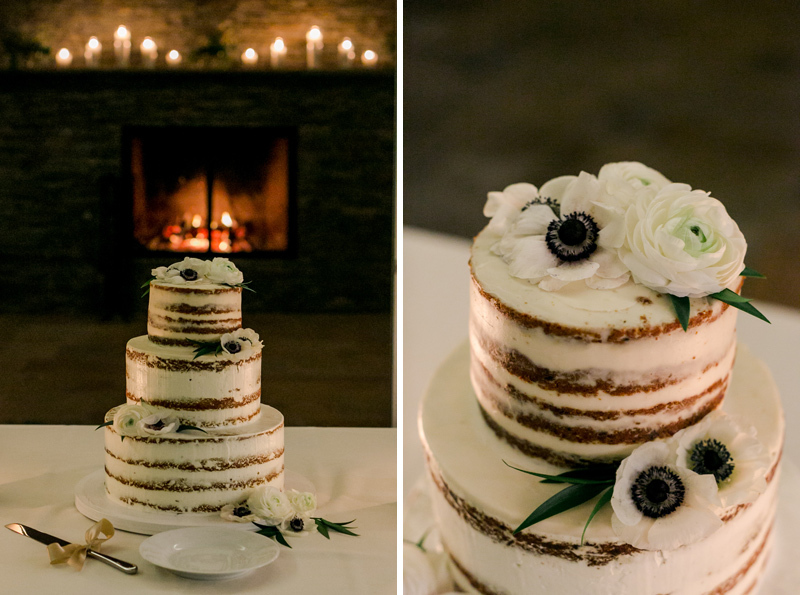 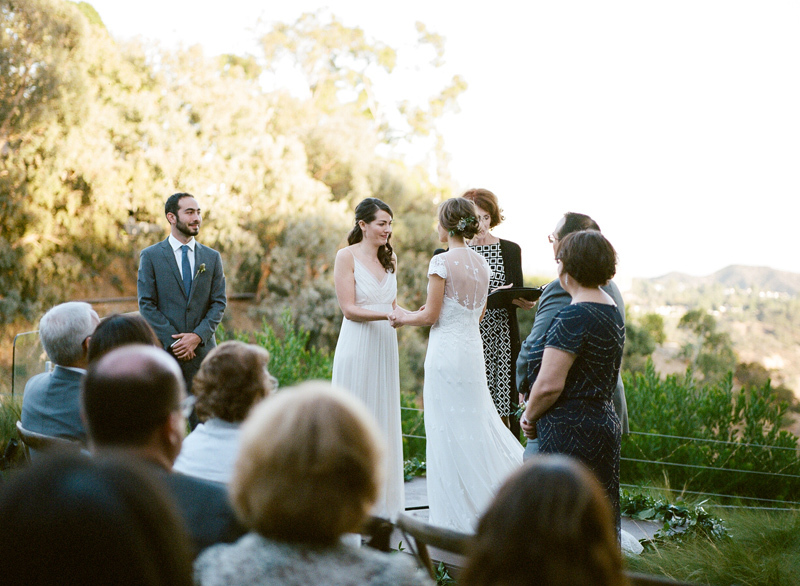 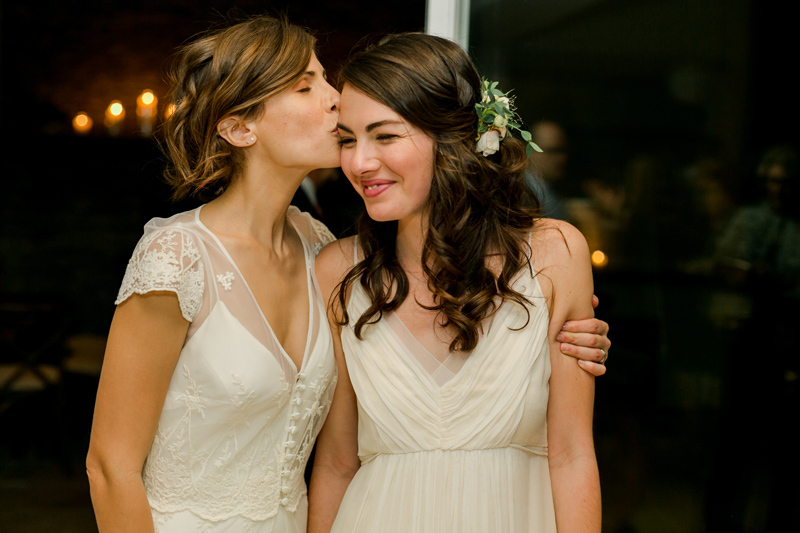 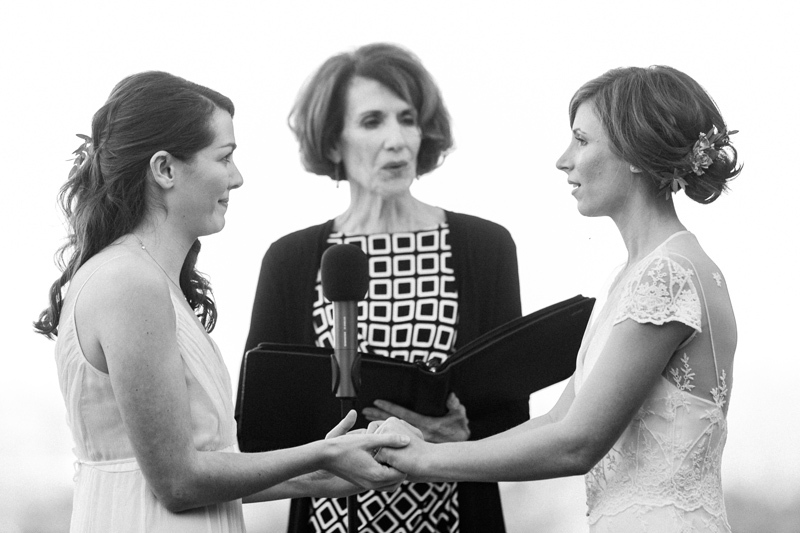 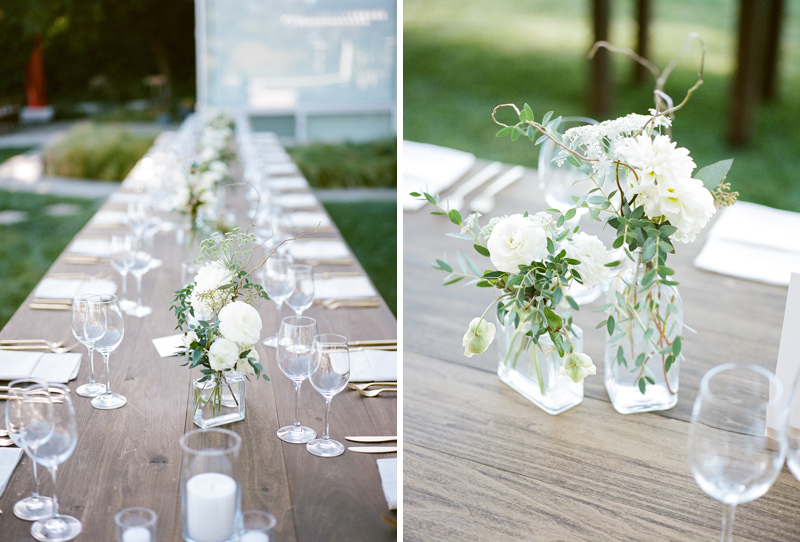 This wedding was hybrid with digital and film photography. 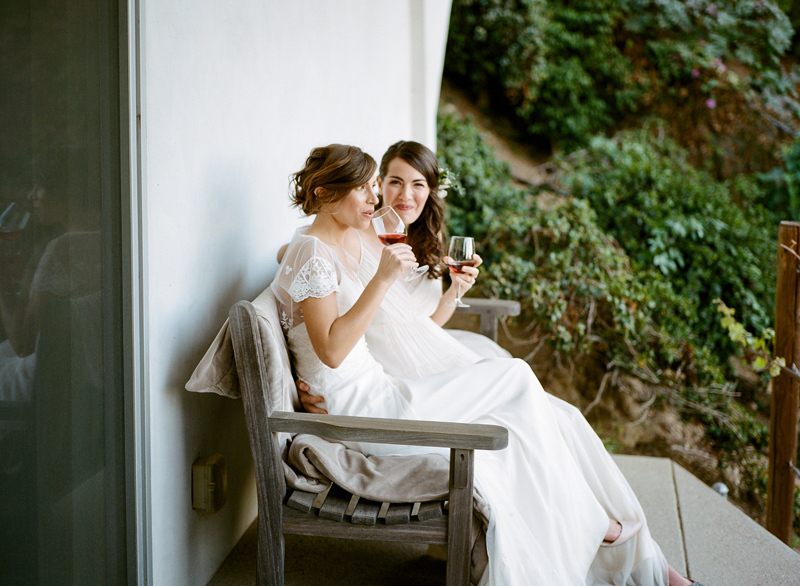 Film images were Kodak Portra 400 medium format film on the Mamiya 645 AFD, and black and white Kodak TMax 400 35mm film with the Fuji Klasse camera. 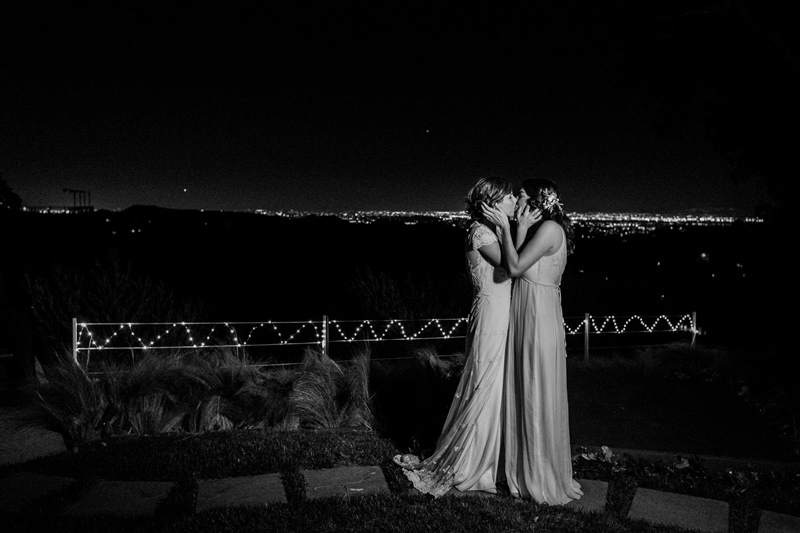 These came out amazing. 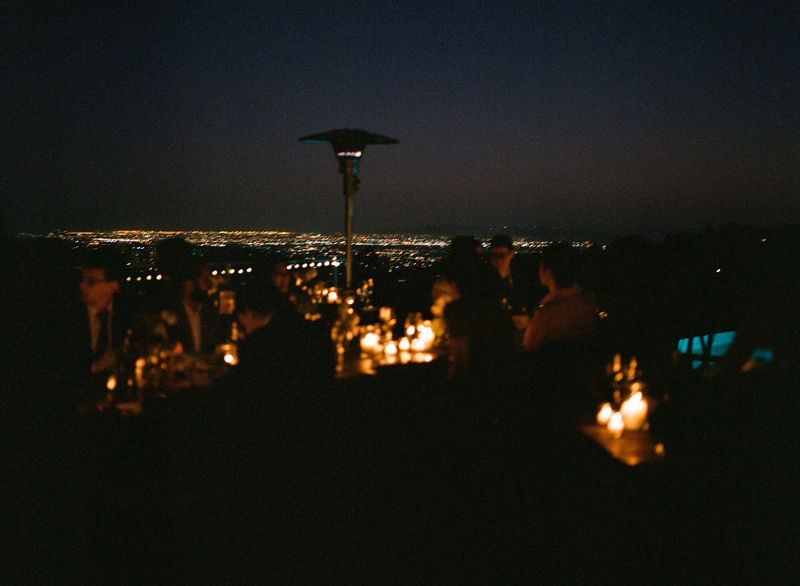 SO stoked, especially living for the Portra 400 film stuff!! 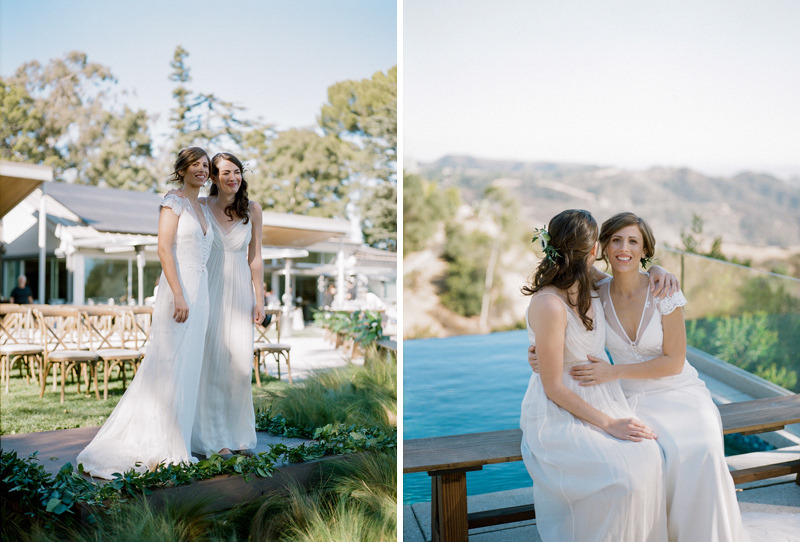 Gorgeous photos as always Jessica. 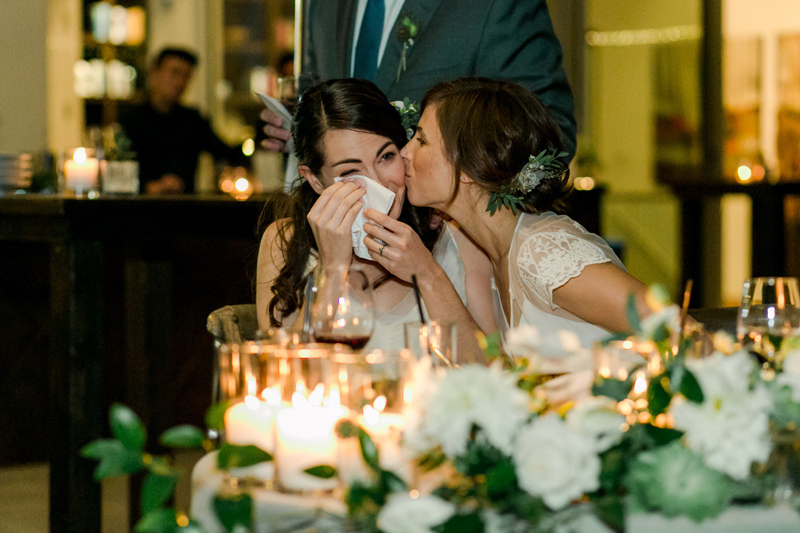 You really captured the emotions in all the special moments. 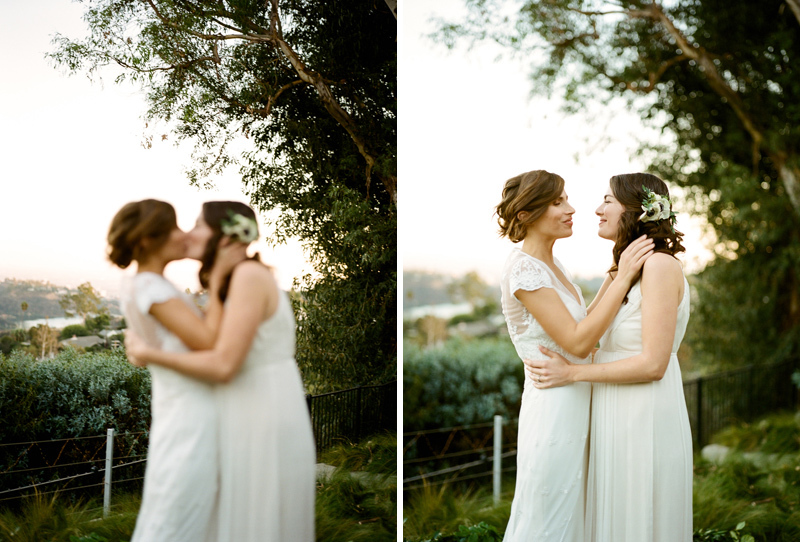 It is a lovely post.